ReKTGlobal has secured one of the highly coveted long-term partnership slots for Rogue, ReKTGlobal’s competitive esports team. Rogue will be one of the ten powerhouse teams that will go on to compete in one of the most exciting live esports experiences yet, with Riot Games’ new League of Legends European Championship. This past year, Europe had two of the top four teams competing globally, with the champions, Fnatic, significantly increasing international viewership of the competition. 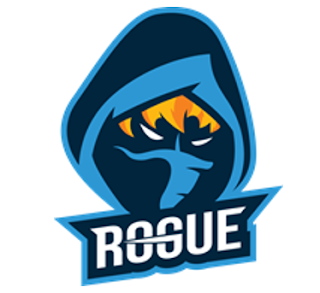 Rogue, which was co-founded by Derek Nelson and Frank Villarreal in May 2016 before being acquired by parent company ReKTGlobal in December 2017, is known for yielding championships and top talent in multiple games — including Fortnite, FIFA, Rocket League, CS:GO and Rainbow Six. The team quickly became a top esports organization in North America and is now expanding its reach with a truly global presence in several of the world’s most popular games. Rogue’s rapid growth attracted an early investment from Grammy-nominated producer, DJ and EDM entrepreneur Steve Aoki. Its continued success then gained the attention of ReKTGlobal, whose acquisition of the team provided it with opportunities on a global scale and secured investments from Grammy award winning band Imagine Dragons, who wrote the song “Warriors” for the League of Legends World Championships where they performed at the Seoul World Cup Stadium in South Korea to 40,000 fans and 170+ million online viewers. ReKTGlobal’s esports scouting expertise has also landed blockbuster athletes for Rogue including top Fortnite streamer, Benjamin “DrLupo” Lupo. Earlier this year, ReKTGlobal also announced a strategic investment partnership with OverPowered Network, Royal Family members Ali and Abdulla Al-Khalifa of the Kingdom of Bahrain’s esports company. The partnership aims to promote esports in the Middle East and North Africa (MENA) region, further expanding the ReKTGlobal’s international footprint. Rather than brute force their way up the rankings with big name signings, Rogue is committed to building a strong, lasting competitive presence through unmatched player development with a roster of established stars and regional heroes from throughout the world. The team will also expand its partnership with the Find Your Grind foundation and the Junior Rogue program to Europe, which mentors kids under 17 to ensure the future of competitive gaming becomes recognized as a viable career option for the next generation. The Rogue LEC team, the only North American organization to earn a spot in the league that did not participate in the EULCS, will be based out of Berlin and run by Anna Baumann, Managing Director and General Counsel, and Tomislav Mihailov, General Manager, who together bring a deep knowledge of the European esports market and years of endemic experience to the team. Baumann, who had focused as an attorney on professionalizing esports establishing best practices with regards to player welfare, integrity issues and grassroots efforts will take a step back from her legal practice focusing fully on building Rogue’s presence in Europe.